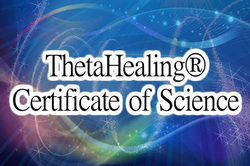 The ThetaHealing® World Relations Course focuses on specific cultures and beliefs to trigger present and past issues with races, religions, and people. Once these belief issues come to light, the hidden hatreds and resentment that goes back centuries will be released. This will allow the participants to embrace and accept the people and cultures of the world with true unconditional love. In this day and age the world has become a much smaller place. Cultures are much more able to come into contact due to plane travel and the information age. Because of this, we have a pressing need to understand and accept other cultures. Students that took the first World Relations Class were surprised at how many negative unconscious thoughts, feelings and emotions came to light in the Belief Work sessions. In many instances, these were genetic beliefs attached to fear, hatred and anger towards other countries, lands and their people that they never knew they had. The World Relations Course is a powerful tool for removing inner and outer conflict in yourself towards others. Support World Peace. Take World Relations. June 25-29, 2019. Newmarket, Ontario. 9:30 a.m. - 5:00 p.m. Tuesday - Saturday.